John Muir Project - Dedicated to placing all federal public forest lands in the U.S. beyond the reach of commercial exploitation. Joint Nature Conservation Committee (JNCC) - UK government's wildlife adviser, undertaking national and international conservation work on behalf of the three country nature conservation agencies English Nature, Scottish Natural Heritage and the Countryside Council for Wales. Joint Research Centre (JRC) - Research on food contamination, genetic modification, chemical hazards, global change pollution, effects on health and nuclear safety. The JRC supports EU policy makers in the conception, development, implementation and monitoring of policies to tackle such trans-national and global problems. Kentucky Waterways Alliance - Working to protect and restore Kentucky's waterways. Klamath Basin Coalition - An alliance of local, regional and national organizations dedicated to conserving and restoring the biological resources of the West's once-great Klamath Basin. Klamath Basin Campaign - Seeks to defend, conserve and restore the biodiversity of the 10.5 million-acre Klamath Basin in Southern Oregon and Northern California and to take the first steps towards sustainability of agriculture in the Klamath Basin. Land and Water Fund (LAW Fund) - The Land and Water Fund of the Rockies ("LAW Fund") is an environmental law and policy center serving the Rocky Mountain and Desert Southwest region. The LAW Fund works proactively for innovative policy reform, and provides extensive legal and strategy support to grassroots groups and coalitions. Areas of expertise include energy, land, and water issues. Land Letter - An in-depth look at regulation, litigation, legislation, and analyses surrounding natural resources issues. LEAD International - A global network of individuals and non-governmental organizations, committed to sustainable development. League of Conservation Voters (LCV) - Fights toxic pollution and environmental degradation. Levees.org - The catastrophic flooding of metro New Orleans was due to the failure of the levees and floodwalls which should have performed, and also to the manmade destruction of protective forests and wetlands in south Louisiana which had historically performed as storm surge buffers. Linkages - Multimedia resource for environment policy makers. Primary responsibility for the failure of the levees and floodwalls lies with the U.S. Army Corps of Engineers according to the US District Court of Eastern Louisiana and according to the federally authorized Hurricane Protection Decision Chronology, both released in 2008. Long Term Ecological Research (LTER) Network - The largest and longest-lived ecological network in the United States, LTER provides the scientific expertise, research platforms, and long-term datasets necessary to document and analyze environmental change. The Network brings together a multi-disciplinary group of more than 2000 scientists and graduate students. The 26 LTER sites encompass diverse ecosystems in the continental United States, Alaska, Antarctica and islands in the Caribbean and the Pacific -- including deserts, estuaries, lakes, oceans, coral reefs, prairies, forests, alpine and Arctic tundra, urban areas, and production agriculture. Matter of Trust - Public charity concentrating on manmade surplus, natural surplus & eco-education. Mindfully - Archives news items concerning: toxics, pesticides, endocrine disruptors, hormone mimics, hormone copycats, nuclear, waste, arms, politics, society, radiation, irradiation, freedom of information, truth, justice, environmentalists, peace, war. Mines and Communities - Information on the impacts of mineral extraction and processing. MiningWatch Canada - A pan-Canadian initiative supported by environmental, social justice, Aboriginal and labour organisations from across the country. It addresses the urgent need for a co-ordinated public interest response to the threats to public health, water and air quality, fish and wildlife habitat and community interests posed by irresponsible mineral policies and practices in Canada and around the world. Move America Beyond Oil - America doesn't have enough oil left to significantly lower gas prices. But a new economy powered by clean energy will offer new jobs and new opportunities. Movement Generation Justice & Ecology Project (MG) - Provides in-depth information and analysis about the global ecological crisis and facilitates strategic planning for action among leading organizers from urban Bay Area organizations working for economic and racial justice in communities of color. Provides intensive retreats, trainings, workshops, curriculum development, strategic support and more. National Audubon Society - Works to conserve and restore natural ecosystems, focusing on birds and other wildlife. National Estuary Program - EPA's National Estuary Program was established by Congress in 1987 to improve the quality of estuaries of national importance. National Marine Fisheries Service/NOAA Fisheries - U.S. federal agency whose mission it is to 1) rebuild and maintain sustainable fisheries, 2) promote the recovery of protected species, and 3) protect and maintain the health of coastal marine habitats. National Resources Defense Council (NRDC) - Uses law, science, and the support of 400,000 members to protect wildlife and wild places. National Wild and Scenic Rivers - The National Wild and Scenic Rivers System was created by Congress in 1968 (Public Law 90-542; 16 U.S.C. 1271 et seq.) to preserve certain rivers with outstanding natural, cultural, and recreational values in a free-flowing condition for the enjoyment of present and future generations. 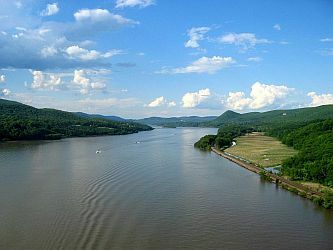 The Act is notable for safeguarding the special character of these rivers, while also recognizing the potential for their appropriate use and development. It encourages river management that crosses political boundaries and promotes public participation in developing goals for river protection. National Wildlife Federation - Inspires Americans to protect wildlife for our children's future. Natural Resources WebLinks - Environmental resources directory: countries, subjects, journals, organizations, legislation, treaties, reference, and more. Provided by the University of Denver College of Law. Network Productions - Creating and disseminating media to help regenerate the earth. Nevada Waste Projects Office (NWPO) - The agency oversees the federal high-level radioactive waste disposal program; carries out independent technical, socioeconomic and other studies; works closely with state agencies and local governments on matters relating to radioactive waste; and provides information to the governor, legislature, and any interested parties. New Source Review (NSR) / Technical Transfer Network (TTN) - Information on technical subjects associated with NSR permitting such as summary information on emerging control technology developments and installations, pollution prevention projects; special reports on BACT, LAER decisions, air quality modeling, or analyses of impacts on water, soils and vegetation; EPA reports and analyses on information collection burdens and economic impacts of the program and rule revisions; and links to EPA's RACT, BACT, LAER Clearinghouse (when available) Federal Land Managers information on Class I areas, and EPA's NSR Permit Data Base. NSR rulemaking activity such as Federal Register Notices and information on stakeholder meetings; Federal Register Proposals and Promulgations and associated fact sheets, status reports on current rulemakings and public comment drafts. New York Environmental Law and Justice - A non-profit public interest organization which counsels and represents groups and individual concerns with the preservation and improvement of community environmental conditions. No Spray Coalition - Coalition against the indiscriminate spraying of toxic pesticides. North Dufferin Agricultural and Community Taskforce (NDACT) - The purpose of this site is to provide you with the ongoing story that is the proposed Melancthon mega quarry. NDACT is of the strongest view that the Highland application should not be approved. This is an application for what would be the largest ever quarry in Canada and the second largest in North America. The proposed quarry site is situated on prime agricultural land, to be excavated invasively 200 feet below the water table in the midst of the headwaters for a number of significant river systems that serve a large portion of Ontario's population. Due to the sheer magnitutude of the proposed excavation, and the fact that it lays in a highly sensitive water recharge area, any miscalculation, oversight or other error could result in an environmental catastrophe of enormous proportions. Northcoast Environmental Center - Arcata, California. Nova Scotia Public Interest Research Group (NSPIRG) - A social and environmental justice research and resource centre whose mandate is to empower, educate, and inspire action on social justice and environmental issues at Dalhousie University, as well as in the broader Halifax community and Nova Scotia generally. Official Arctic National Wildlife Refuge - Located in northeastern Alaska, the Arctic National Wildlife Refuge is the most northern and one of the largest refuges within the National Wildlife Refuge System. The Arctic Refuge is owned by the American people and managed by the U.S. Fish and Wildlife Service, U.S. Department of the Interior. Ohio Citizen Action - Best known for its work on public health and the environment. Chemical right-to-know, clean-up, pesticide in foods, groundwater protection, nuclear reactors -- public education, campaigns, alerts, and news. Oil Program, U.S. Environmental Protection Agency (EPA) - Information about the U.S. EPA's program for preventing, preparing for, and responding to oil spills that occur in and around inland waters of the United States. Oil Shale and Tar Sands Programmatic Environmental Impact Statement - Evaluates potential impacts associated with oil shale and tar sands resources development on lands administered by the U.S. Department of the Interior, Bureau of Land Management (BLM) in Colorado, Utah, and Wyoming. Based upon the information and analyses developed in this PEIS, the BLM will amend land use plans for these areas. Oilwatch - A resistance network that opposes the activities of oil companies in tropical countries. Amongst the functions of the network are: the exchange of information on oil company operations in each affected country, their practices of operation and the destinctive resistance movements and international campaigns against specific companies. OVERKILL: Why Pesticide Spraying for West Nile Virus May Cause More Harm Than Good - Prepared by the Toxics Action Center and Maine Environmental Policy Institute. Ozone Depletion - Official EPA site. Information about the science of ozone depletion, information about the regulatory approach to protecting the ozone layer, and information on alternatives to ozone-depleting substances, as well as information on a number of other topics. Pachamama Alliance - Working to preserve the Earth's tropical rainforests by empowering the indigenous people who are its natural custodians. Pacific Northwest Pollution Prevention Resource Center (PPRC) - A leading resource for promoting a cleaner environment through pollution prevention. Provides pollution prevention (P2) and waste reduction information for businesses and governments in the Northwest. PPRC's site includes information about greening supply chains, product stewardship, environmentally preferable purchasing (EPP), green construction, school design, alternative fuels for fleets, salmon and P2, adhesives, persistent bioaccumulative toxins, the Northwest P2 Regional Roundtable meetings and more. See Publications List. Pesticide Action Network North America (PANNA) - Working to reduce hazardous pesticides. Also see the PAN Pesticides Database. Pesticide Action Network (PAN UK) - Promotes healthy food, agriculture and an environment which will provide food and meet public health needs without dependence on toxic chemicals, and without harm to food producers and agricultural workers. Pew Center on Global Climate Change - Dedicated to providing credible information, straight answers and innovative solutions in the effort to address global climate change. Pipe Up Against Endbridge - British Columbia communities and First Nations working to stop the Enbridge Northern Gateway Pipeline. Planet Drum - Provides a grassroots approach to ecology that emphasizes sustainability, community self-determination and regional self-reliance. Plug-In To eCycling - Aims to increase the safe recycling of consumer electronics by providing information and guidance; increasing recycling opportunities; facilitating partnerships with communities, electronics manufacturers, and retailers to promote shared responsibility for safe electronics recycling; and establishing pilot projects to test innovative approaches to safe electronics recycling. Polluter Watch - A project of Greenpeace that holds polluters accountable for the work they're doing to block the transition from the dirty fossil fuels of the past to the clean energy sources of the future. POPIN - Created by United Nations resolution, POPIN is a decentralized community of population institutions organized into regional and national networks in Africa, Asia and the Pacific, Latin America and the Caribbean, Europe and Northern America. POPIN dentifies and coordinates population information activities at international, regional and national levels. Preservation Institute - Dedicated to developing a new politics that recognizes the limits of technology and growth. Public Employees for Environmental Responsibility (PEER) - A a private, non-profit organization that protects the government employees who protect our environment. PEER promotes environmental ethics and government accountability. Population Reference Bureau (PRB) - Provides objective information on U.S. and international population trends and their implications. Probe International - Exposes the devastating environmental, social, and economic effects of Canada's aid and trade abroad. Probe International names names. Project Underground - A vehicle for the environmental, human rights and indigenous rights movements to carry out focused campaigns against abusive extractive resource activity. Public Drinking Water Systems (DWP-CA) - The Drinking Water Programregulates public water systems; oversees water recycling projects; permits water treatment devices; certifies drinking water treatment and distribution operators; supports and promotes water system security; provides support for small water systems and for improving technical, managerial, and financial (TMF) capacity; provides funding opportunities for water system improvements. DWP is within the Division of Drinking Water and Environmental Management. Radioactive Waste Management Associates (RWMA) - An environmental consulting company. Projects include working with several community groups to review remediation activities at Department of Energy and former military sites. Rainforest Action Network (RAN) - Works to protect tropical rainforests and the human rights of those living in and around those forests. Rainforestweb - World rainforest information portal. Rainwater Harvesting - Rainwater harvesting simply means catching and holding rain where it falls and using it. You can store it in tanks or you can use it to recharge groundwater. See how people harvest rain. RAND Energy and Environment - Key issue areas: sustainability, climate change, air quality, energy, water resources, ecosystem management, health, regulatory reinvention, environmental technology. Reduce Reuse Recycle - Seeks to reduce the amount of the Earth's resources that we use. Region 9: Water Programs - The EPA Region 9 Water Programs page. The Water Division is responsible for implementing programs to protect the public and the environment by preventing, reducing and regulating contamination of surface and ground water. A watershed approach is used to provide protection for public health and water resources including lakes, rivers, estuaries, oceans, and wetlands. Primary authority for EPA water programs was established by the 1986 amendments to the Safe Drinking Water Act (SDWA) and the 1987 amendments to the Clean Water Act (CWA). Serving Arizona, California, Hawaii, Nevada, the Pacific Islands, and over 140 Tribal Nations. Regional Greenhouse Gas Initiative (RGGI) - The first mandatory, market-based effort in the United States to reduce greenhouse gas emissions. Ten Northeastern and Mid-Atlantic states will cap and then reduce CO2 emissions from the power sector 10% by 2018. Register of Environmental Conventions - In order to keep governments informed of new developments in international conventions and protocols in the field of the environment, the United Nations Environmental Programme (UNEP) regularly issues the Register of International Treaties and Other Agreements in the Field of the Environment. The Register presents a brief summary of the provisions of these instruments as well as the status of participation in the instruments. Reject and Protect - Led by the 'Cowboy Indian Alliance,' a group of ranchers, farmers, and tribal communities from along the Keystone XL pipeline route. Working to reject same. Resource - Provides the latest waste and recycling news from the UK, Europe and rest of world. Restore Hetch Hetchy - A grassroots non-profit organization seeking to restore the Hetch Hetchy Valley in Yosemite National Park to its original condition. Hetch Hetchy is only one of nine reservoirs that comprise the San Francisco Public Utility Commission's water system. Although Hetch Hetchy Reservoir is the most well-known, it stores less than 25% of the system's water. San Francisco's water-bank in Don Pedro Reservoir, downstream on the Tuolumne River, holds twice as much water as Hetch Hetchy. Restore Hetch Hetchy argues that San Francisco and other Bay Area communities would continue to receive a reliable supply of high-quality water from the Tuolumne River after Hetch Hetchy Reservoir is drained and the valley returned to the trusteeship of Yosemite National Park. Rewilding Institute - Information about the integration of traditional wildlife and wildlands conservation with conservation biology to advance landscape-scale conservation. Provides explanations of key concepts with downloadable documents and links to important papers, essential books, and many groups working on various continental-scale conservation initiatives in North America. Right-to-Know Network - Numerous databases, text files, and conferences on the environment, housing, and sustainable development. RISI - Information for and about the global forest products industry. Riverkeeper - Mission is to safeguard the ecological integrity of the Hudson River, its tributaries and the watershed of New York City (protecting the city's drinking water supply) by tracking down and stopping polluters. San Francisco Bay Conservation and Development Commission - California state agency whose mission is to protect San Francisco Bay. Save Our Cumberland Mountains (SOCM) - A non-profit Tennessee grassroots organization working state-wide for social, environmental and economic justice in areas such as sustainable forestry, clear cutting, strip mining, mountain top removal, AML, toxic issues, aerial spraying, tax reform, voter rights and dismantling racism. Save the Arctic Refuge from Big Oil - The Arctic Refuge is the only remaining 5 percent of Alaska's North Slope not already open to drilling. Oil exploration there would be like drilling in Yellowstone National Park or the Grand Canyon. Big Oil wants to drill on the refuge's coastal plain. That's the biological heart of the refuge. Called America's Serengeti," it is home to polar bears, musk oxen, wolves, millions of migratory birds, caribou and hundreds of other species. The industrial disturbance would be immense and spills inevitable. Save the Clean Air Act - A collaborative effort of the nation's most influential environmental advocacy organizations harnessing the power of the internet to increase public awareness and activism on today's most important environmental issues. Scorecard - Get the facts on local pollution in the U.S. Find environmental information about your community: learn how bad the pollution is, where the toxic chemicals come from, what the health risks are, and what actions you can take. Get an in-depth pollution report for your county, covering air, water, chemicals, and more. Sea Shepherd Conservation Society (SSCS) - Established in 1977, the Sea Shepherd Conservation Society (SSCS) is an international non-profit, marine wildlife conservation organization. Its mission is to end the destruction of habitat and slaughter of wildlife in the world's oceans in order to conserve and protect ecosystems and species. Sierra Club - Advances the preservation and protection of the natural environment. Smart Growth America (SGA) - A coalition of nearly 100 advocacy organizations that have a stake in how metropolitan expansion affects our environment, quality of life and economic sustainability. SGA's coalition partners include national, state and local groups working on behalf of the environment, historic preservation, social equity, land conservation, neighborhood redevelopment, farmland protection, labor, town planning. Society of Environmental Journalists (SEJ) - The only U.S.- based membership organization of working journalists dedicated to improvements in environmental reporting. Also see: SEJournal. Southwest Research and Information Center (SRIC) - Provides timely, accurate information to the public on matters that affect the environment, human health, and communities in order to protect natural resources, promote citizen participation, and ensure environmental and social justice. State Coalition for Remediation of Drycleaners (SCRD) - established in 1998, with support from the U.S. EPA Office of Superfund Remediation and Technology Innovation. It is comprised of representatives of states with established drycleaner remediation programs. Currently the member states are Alabama, Connecticut, Florida, Illinois, Kansas, Minnesota, Missouri, North Carolina, Oregon, South Carolina, Tennessee, Texas, and Wisconsin. In addition, participation in SCRD as "Represented States" is open to states without drycleaner-specific programs, but active in the remediation of drycleaner sites under other authorities. California, Maryland, New York, New Jersey and Virginia currently are SCRDRepresented States." The Coalition's primary objectives are to provide a forum for the exchange of information and the discussion of implementation issues related to established state drycleaner programs; share information and lessons learned with states without drycleaner-specific programs; and encourages the use of innovative technologies in drycleaner remediation. State PIRGs Working Together - An alliance of state-based, citizen-funded organizations that advocate for the public interest. The PIRGs uncover threats to public health and well-being and fight to end them, using the tools of investigative research, media exposes, grassroots organizing, advocacy and litigation. State Water Resources Board (California) - Laws regulations, news, regional boards, water rights. Stockholm Environment Institute (SEI) - Environmental think tank. Southern Utah Wilderness Alliance (SUWA) - Defenders of Utah wilderness. Strategic Approach to International Chemicals Management (SAICM) - SAICM is policy framework to promote chemical safety around the world. SAICM has as its overall objective the achievement of the sound management of chemicals throughout their life cycle so that, by 2020, chemicals are produced and used in ways that minimize significant adverse impacts on human health and the environment. This "2020 goal" was adopted by the World Summit on Sustainable Development in 2002 as part of the Johannesburg Plan of Implementation. Superfund Research Program (SRP) - A network of university grants designed to seek solutions to the complex health and environmental issues associated with the nation's hazardous waste sites. The research conducted by the SRP is a coordinated effort with the Environmental Protection Agency, the federal entity charged with cleaning up the worst hazardous waste sites in the country. Sustainable Development Online - Links to significant web sites built by organizations supporting the move towards sustainable development. Sustainability - A resource of information/links to sites that discuss sustainability and how it can be applied to your environment. Sustainable Communities Network - Find out what's happening in Chattanooga, Tennessee, and Seattle, Washington; what the Green Institute is doing in the Phillips Neighborhood in Minneapolis, Minnesota; how the Mountain Association For Community Economic Development and Rural Action are helping rural areas of Appalachia, and more. Take Back the Tap - Protecting the right to clean and safe tap water. Tar Sands Watch - Part of the Polaris Institute. Polaris is designed to enable citizen movements to act for democratic social change on major public policy issues in an age of corporate driven globalization. Tellus Institute - Environmental think tank whose projects address policy and planning issues in such areas as energy, water, waste, and land use. TerraPass - Each year, the average car emits about 10,000 lbs (three times its weight!) in carbon dioxide pollution - a leading cause of global warming. Buy a TerraPass. TerraPass funds clean energy projects that reduce industrial carbon dioxide emissions. Your TerraPass is third-party certified to reduce the equivalent of your car's carbon dioxide pollution. Texas Commission on Environmental Quality (TCEQ) - The environmental agency for the state of Texas. thegreenpages.ca - A student-owned and operated information resource developed to help students find and access environment related information by collecting and organizing it into one resource. Trade & Environment Database (TED) - A collection of categorical case studies that began with a focus on solely environmental issues, but did not include the economic consequences of other social policy choices, such as culture, rights, or other issues. TED cases include 28 categories that include both coded and reporting, organized into 6 clusters of information with extensive search and knowledge capabilities. There are around 700 TED cases studies. U.S.-Asia Environmental Partnership (US-AEP) - A public-private initiative that promotes environmentally sustainable development in Asia. With the participation of wide range of partners - governments, NGOs, academia, and the private sector - US-AEP provides answers to a wide range of environmental questions. U.S. Chemical Safety Board (CSB) - Promotes the prevention of major chemical accidents at fixed facilities. U.S. Department of Agriculture Forest Service - Manages public lands in national forests and grasslands. U.S. Environmental Protection Agency (EPA) - EPA's mandate includes preventing pollution and reducing risk in communities, homes, workplaces, and ecosystems. The EPA site is filled with environmental information, resources, and data. U.S. Environmental Protection Agency (EPA) Region 9 - Works to protect public health and the environment in the southwestern U.S. (Arizona, California, Nevada, and Hawaii). Region 9's Main Office is located in San Francisco, California. U.S. Environmental Protection Agency (EPA) Acid Rain Program - Works to significantly reduce electric utilities' emissions of sulfur dioxide and nitrogen oxides, the pollutants responsible for acid deposition, through its program's system of tradable SO2 emissions allowances. U.S. Environmental Protection Agency (EPA) Federal Register Environmental Documents - Federal Register notices affecting EPA partners in environmental protection. U.S. Environmental Protection Agency (EPA) Office of Solid Waste and Emergency Response (OSWER) - Provides agency-wide policy, guidance and direction for the EPA's solid waste and emergency response programs. U.S. Forest Products Laboratory (FPL) - Serves the public as the nation's leading wood research institute. UK-AIR: Air Information Resource - UK air quality news and resources. UN Environment Programme (UNEP) - The voice for the environment within the United Nations system. UN Food and Agriculture Organization (FAO): Forestry - The FAO Forestry Program addresses one of the most important, complex and controversial issues of modern times - how to use trees, forests and related resources to improve people's economic, environmental, social and cultural conditions while ensuring that the resource is conserved to meet the needs of future generations. UN Framework Convention on Climate Change (UNFCCC) - Provides Parties, representatives of observer organisations and others interested in the UNFCCC process, with a one-stop source of news, data, information and documents. The Convention now has 195 Parties and is approaching universal membership. UN Population Fund - Helps developing countries find solutions to their population problems. Underground Storage Tank Cleanup Fund - Federal and state laws require every owner and operator of a petroleum underground storage tank (UST) to maintain financial responsibility to pay for any damages arising from their tank operations. The Barry Keene Underground Storage Tank Cleanup Fund Act of 1989 was created by the California Legislature, and is administered by the California State Water Resources Control Board, to provide a means for petroleum UST owners and operators to meet the federal and state requirements. UNEP/GRID-Arendal - An official United Nations Environment Programme (UNEP) centre located in Southern Norway, with out posted offices in Geneva, Ottawa and Stockholm. Wadeable Streams Assessment (WSA) Background Materials - The EPA's draft Wadeable Streams Assessment: A Collaborative Survey of the Nation's Streams (WSA) is a first-ever statistically-valid study of the biological condition of small streams throughout the U.S. It establishes a national baseline we can use to compare to results from future studies. This information will help us evaluate the successes of our national efforts to protect and restore water quality. Wahana Lingkungan Hidup Indonesia (WALHI) - Indonesian Forum for Environment. Wastes - Wastes website of the U.S. EPA. Water and Sanitation Program (WPA) - A multi-donor partnership administered by the World Bank to support poor people in obtaining affordable, safe and sustainable access to water and sanitation services. Water Infrastructure Network - A broad-based coalition of local elected officials, drinking water and wastewater service providers, state environmental and health administrators, engineers and environmentalists dedicated to preserving and protecting the health, environmental and economic gains that America's drinking water and wastewater infrastructure provides. Water Justice - An open space to connect people from around the world dedicated to effective, democratic and equitable water solutions, including community activists, NGO campaigners, academic researchers, trade unionists and water utility managers. Water Matters - The Water Matters Society of Alberta was founded in 2007 by citizens concerned about watershed protection in Alberta. Water Matters was founded to provide strong leadership from an independent non-government organization with expertise and resources to address province-wide watershed issues. Waterkeeper Alliance - A global movement of on-the-water advocates who patrol and protect over 100,000 miles of rivers, streams and coastlines in North and South America, Europe, Australia, Asia and Africa. Western Climate Initiative (WCI) - Launched in February 2007, WCI is a collaboration of seven U.S. governors and four Canadian Premiers. WCI was created to identify, evaluate and implement collective and cooperative ways to reduce greenhouse gases in the region, focusing on a market-based cap-and-trade system. Western Watersheds Project - Mission is to protect and restore western watersheds and wildlife through education, public policy initiatives, and legal advocacy. WildEarth Guardians - Protects and restores the wildlife, wild places, wild rivers, and health of the American West. Wildlands Project - The goal of the Wildlands Project is to set aside approximately fifty (50) percent of the North American continent (Turtle Island) as "wild land" for the preservation of biological diversity. Wildlands Project (Paul Ehrlich) - In North America, the Wildlands Project and its partners have completed six Wildlands Network Designs or WNDs. These landscape-scale conservation plans use cutting-edge science to establish conservation priorities for very large regions. Dozens of partner groups, many of whom you can learn about on this website, are now actively working to turn these hopeful visions of "what could be" into reality on the ground. Window To My Environment (WME) - A powerful new EPA web-based tool that provides a wide range of federal, state, and local information about environmental conditions and features in areas of your choice. WISE Uranium Project - Providing information on the health and environmental impacts of nuclear fuel production. Women's Environmental Network (WEN) - Empowering women to make positive environmental change. Increasing awareness of women's perspectives on environmental issues. Women's Voices for the Earth - Amplifies women's voices to eliminate the toxic chemicals that harm our health and communities. World Bank: Carbon Finance - CFU uses money contributed by governments and companies in OECD countries to purchase project-based greenhouse gas emission reductions in developing countries and countries with economies in transition. The emission reductions are purchased through one of the CFU's carbon funds on behalf of the contributor, and within the framework of the Kyoto Protocol's Clean Development Mechanism (CDM) or Joint Implementation (JI). World Business Council for Sustainable Development (WBCSD) - A coalition of 165 international companies united by a shared commitment to sustainable development via the three pillars of economic growth, ecological balance and social progress. World Conservation Monitoring Centre (WCMC) - Information services on conservation and sustainable use of the world's living resources. World Environment Day (WED) - WED was established by the UN General Assembly in 1972 to mark the opening of the Stockholm Conference on the Human Environment. Commemorated yearly on 5 June, WED is one of the principal vehicles through which the United Nations stimulates worldwide awareness of the environment and enhances political attention and action. World Heritage List - Includes 911 properties forming part of the cultural and natural heritage which the World Heritage Committee considers as having outstanding universal value. As of June 2010, 187 States Parties have ratified the World Heritage Convention. World Information Service on Energy (WISE) - An information and networking center for citizens and environmental organizations concerned about nuclear energy, radioactive waste, radiation, and related issues. Publishes the WISE/NIRS Nuclear Monitor 20 times per year. World Rainforest Movement (WRM) - International network of citizens' groups defending world's rainforests and working to secure the lands and livelihoods of forest peoples - supporting their efforts to defend the forests from commercial logging, dams, mining, plantations, shrimp farms, colonisation and settlement and other projects that threaten them. World Resources Institute (WRI) - An environmental research and policy organization that creates solutions to protect the planet and improve people's lives. World Water Assessment Programme (WWAP) - Currently there is no global system in place to produce a systematic, continuing, integrated and comprehensive global picture of freshwater and its management. The UN system, through the ACC/SCWR, has the mandate, credibility and capacity to take on the task of systematically marshalling global water knowledge and expertise to develop over time the necessary assessment of the global water situation, as the basis for action to resolve water crises. The WWAP, building on the achievements of the many previous endeavours, focuses on assessing the developing situation as regards freshwater throughout the world. The primary output of the WWAP is the periodic World Water Development Report (WWDR). World Water Council (WWC) - Water policy think tank. World's Water, The - Dedicated to providing up-to-date water information and data and web connections to organizations, institutions, and individuals working on a wide range of global freshwater problems and solutions. Worldwatch Institute - Dedicated to fostering the evolution of an environmentally sustainable society - one in which human needs are met in ways that do not threaten the health of the natural environment or the prospects of future generations. Conducts inter-disciplinary research on emerging global environmental issues, the results of which are widely disseminated. WWF Climate Campaign - WWF's campaign is working in over 25 countries to raise awareness of the threats of climate change. The organization seeks to accelerate the introduction of technologies that use energy more efficiently with less pollution and to increase clean renewable energy sources. Zero Waste America (ZWA) - ZWA promotes "disposal bans" and the recycling of all materials back into nature or the marketplace in a manner that protects human health and the environment. This webpage last updated on Thursday, November 29, 2018 2:07 PM.